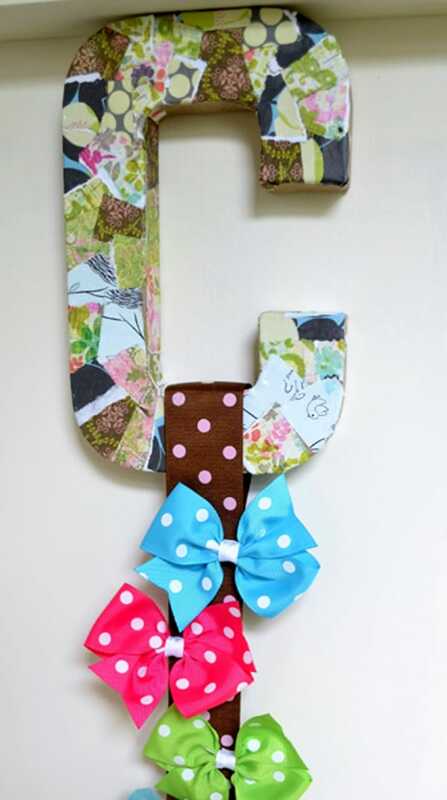 Learn how to make a DIY bow holder! 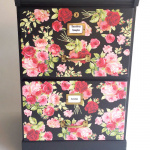 This great budget craft tutorial will show you how it's done; customize with papers you love. 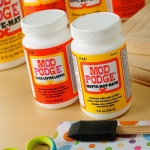 Hello there, Mod Podge fans! 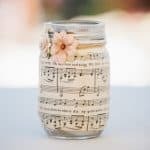 It's Linda here, from burlap+blue, and I have the most darling tutorial to share with you all today! As some of you may know, I'm due to have a little girl this week! And do you know what one of my biggest dilemmas has been in preparing for her? Nope – it doesn't have to do with feeding schedules, what to pack for the hospital, or choosing a name – it's figuring out what to do with all those adorable hair bows I've been collecting for her! 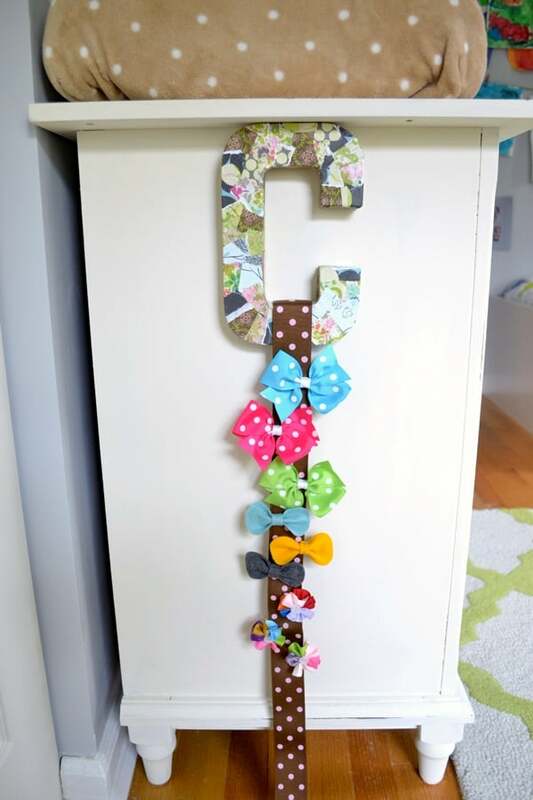 This simple bow holder is adorable and versatile . . . and so easy to make! Let's get started. 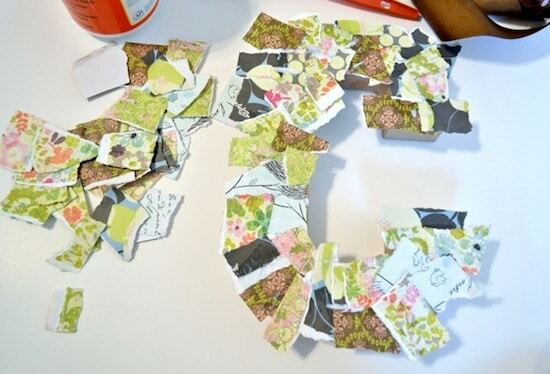 Step 1: Gather your supplies, and begin by tearing your scrapbook paper into pieces. 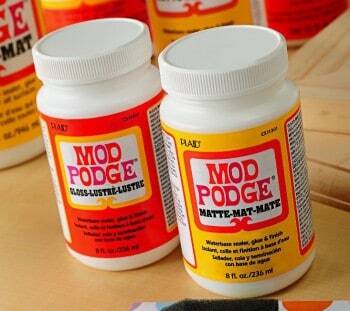 Step 2: It's time to pull out the Mod Podge and attach your paper to your letter. 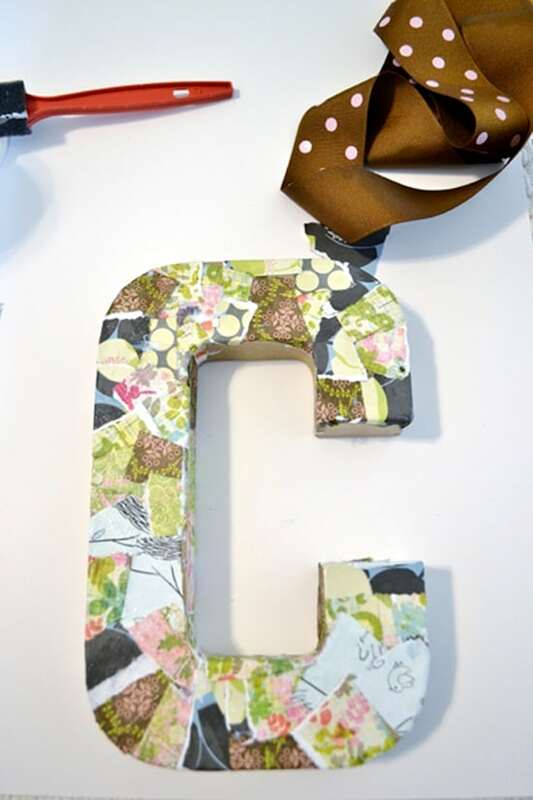 There are many ways to do this, but I work in small sections, adding some Mod Podge to the letter and attaching the paper. It took me about 10 minutes to cover the whole letter. I worked on the front first, then tackled the sides of the letter. Here's the letter with just the top covered in paper . . . 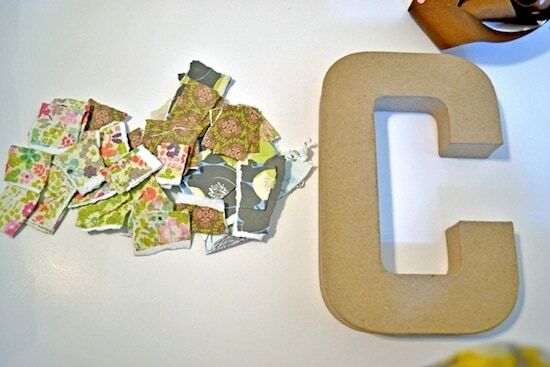 Step 3: Once dry, add a layer or two of Mod Podge to seal your letter. 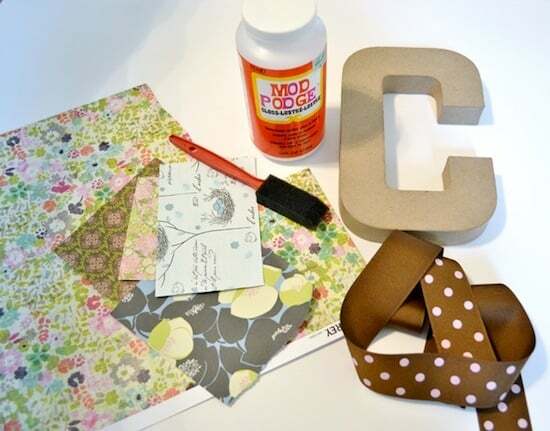 Step 4: Take a piece of wide ribbon, fold it over your letter, and attach with a bit of hot glue. 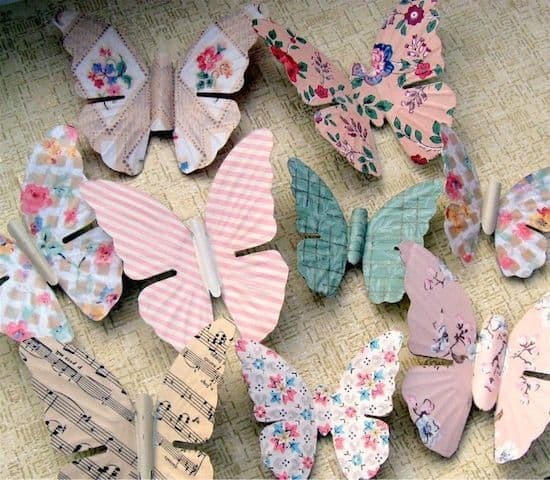 Thank you so much for letting me share my DIY hair bow holder with you all today. You can find lots of other tutorials and inspiration on my blog, my facebook page, on pinterest or on twitter! Have a lovely day! 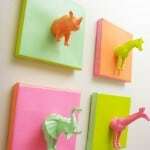 With soon to be 4 little girls, I definitely need to make some of these! Thanks for the great tutorial. Use a little longer ribbon, and sew a few loops in it and you have a bow and headband holder.